BRYAN EATON/Staff photo. 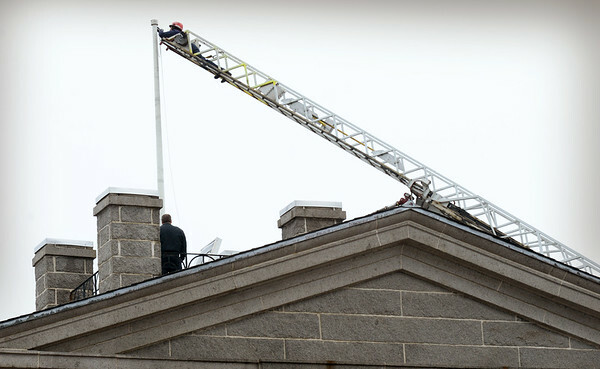 The halyard, or flag line, on the flagpole of the Custom House Maritime Museum had been damaged from the weight of the flag. The Newburyport Fire Department helped out with their ladder truck, the assignment as a drill, to get the pole ready for the arrival of the tall ships.